This post was made possible by ibVPN through compensation. The actual contents and opinions are the sole views of the author, who maintains editorial independence, even when a post is sponsored. For more details, please read our disclaimer. A Virtual Private Network will help you protect your right to privacy in numerous areas of your digital life. Global news is dominated by instances of hacking, mass data collection, data snooping and more, and as our lives are now digitally intertwined with our computers, laptops, smartphones and tablets, it might be the right time to consider how you interact with the Internet. This guide is available to download as a free PDF. Download 8 Instances You Weren’t Using a VPN but Should’ve Been: The VPN Checklist now. Feel free to copy and share this with your friends and family. There are numerous VPN solutions The Best VPN Services The Best VPN Services We've compiled a list of what we consider to be the best Virtual Private Network (VPN) service providers, grouped by premium, free, and torrent-friendly. Read More out there. VPN providers such as ibVPN deliver the most important things in a VPN: reliability, privacy, encryption and anonymity. If you haven’t already considered subscribing to a VPN to secure your privacy, now is the time. When Is A VPN Needed? You’re probably thinking, “But why would I use a VPN? I have nothing to hide…” and whilst you are a law-abiding netizen, much the same as real-life, not everyone connected to the Internet is as nice, as friendly, or as trustworthy as you. 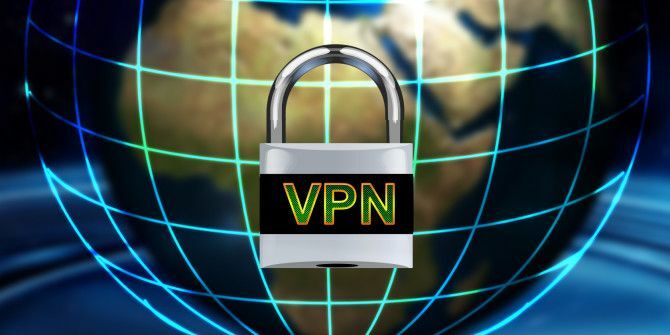 A secure VPN connection essentially hides your web activity What Is The Definition Of A Virtual Private Network What Is The Definition Of A Virtual Private Network Virtual private networks are more important now than ever before. But do you know what they are? Here's what you need to know. Read More , cloaking your digital affairs in an encrypted layer, making your communications extremely difficult, if not impossible to read if intercepted. It’s not all doom and gloom, I assure you. Again, just as real-life illustrates, not every person you bump into on the street is desperate to steal your wallet, there are millions of exceptionally nice individuals on the web, and as such, there are other reasons you should take advantage of a VPN. …but you don’t want your business opposition to be alerted to your having accessed their site. A VPN takes care of that for you. Each time we search for a site and head to that landing page our IP address is logged. The owner of the site can fire up Google Analytics, check their site geo-demographics and slowly close the trap around you. Okay, so perhaps it’s not that drastic, but if you are attempting to conduct some below-the-radar market research on your closest competitors for an upcoming marketing event, you could do worse than avoiding tipping off said competitors ahead of the game, and your boss will thank you, and maybe even give you a pay rise. You heard it here first! …keeping track of your every search, every movement Five Things Google Probably Knows About You Five Things Google Probably Knows About You Read More on the Internet that goes through their search engine. Sure, they provide a free service we increasingly depend on — so popular it has entered the common English lexicon as a verb – to google (you can look that up!) – but it doesn’t mean you have to be comfortable with their storing each and every request for information you make. It is a difficult dilemma. We all like the established free web-services. In many cases, we couldn’t live without them, now. But the trade is, and has always been the provision of your data to line the pockets of the Zuckerberg’s, Brin’s, Page’s, and Dorsey’s for advertising, product enhancements and more. Each search is logged. The endless searches for Train-Spotters Anonymous, Steam Train and Humpback Bridge Magazine, and Box Kite String Aficionado are all logged, and will be forever more. Using an ibVPN account would alleviate any future issues with search logging, leaving you in the clear. …in a country with restrictive web and content surveillance How To Bypass Internet Censorship How To Bypass Internet Censorship This article examines some of the most common methods used to filter content as well as emerging trends. Read More . Voice-over-IP services such as Skype are becoming more difficult to intercept, but by no means impossible. There is sufficient literature available across the Internet to make VoIP interception viable to even intermediate level hackers with a grasp of Internet architecture. This is ratcheted up a notch if your VoIP call originates, or is heading to one of the many countries exercising extremely restrictive web censorship and surveillance. China, Egypt, Cuba, Saudi Arabia, and Eritrea are all countries that spring to mind; secure your communications with ibVPN. Though it is worth remembering that your security has a slight cost: the speed of your connection. You may encounter crackling or warped audio signatures, or a delay in receiving audio. In my opinion, the security is worth it. You’d be horrified if your local council office was listening into your phone calls to the fishmongers. Why should it be any different when using a VoIP connection? …but remain desperate to watch the mighty Accrington Stanley vs. Halifax. One of the best, and indeed most common uses of a VPN is to access video feeds unavailable in your host country. And let’s face it, the tiny Thai beach bar isn’t going to upgrade their cable connection even with that behemoth encounter to look forward too. An ibVPN connection can mask your IP address to appear as if you were in the requisite country for the broadcast, so you no longer have to miss your favourite sporting events, or the new series of Downton Abbey. …but it’s not available to your country due to copyright law. Your only option is to use the terrible, low quality flash-stream sites. Not only are most of the streams terrible quality, but you open your computer up to all sorts of potential nasty’s lurking behind the scenes as you click from site-to-site, loading video-after-video. Actually, it isn’t your only option. You could use an ibVPN connection to access the full gamut of Netflix The Ultimate Netflix Guide: Everything You Ever Wanted to Know About Netflix The Ultimate Netflix Guide: Everything You Ever Wanted to Know About Netflix This guide offers everything you need to know about using Netflix. Whether you're a new subscriber or an established fan of the best streaming service out there. Read More films and TV series with just a few clicks. Netflix (and any other region restricted web service – check the image above or this page to see what ibVPN can unlock) monitor your IP address. If you connect to their site from a UK IP address, you receive the UK version of the site. If you’ve tried this, you’ll know the immense frustration realising the seriously condensed Netflix on offer compared to our American cousins. The same goes for everywhere else: North, South, East or West, you’ll be staring at a reduced catalogue. Use a VPN to manipulate your true IP address. Cloaking your IP to appear in a different country – in this instance, were appearing to be in the U.S., rather than the U.K. – will grant you access to the exponentially larger Netflix catalogue. It’s legal(ish), as you still pay for the service, but you get all the content available to the U.S. site. We say legal-ish as whilst Netflix make no effort to block those using a VPN, content creators may be more concerned if their work appears illegally overseas. However, as we mentioned, you still pay for your connection to the US site, and for detractors who argue Netflix should do more, surely a VPN by its very definition would make that task extremely difficult? …pretty much the entire Internet via torrents, or simply downloading legal bits of software for day-to-day use. Either way, you don’t much fancy being added to the MPAA/NSA/GCHQ/BPI super surveillance list (delete which organisation is applicable, perhaps none, if you’re lucky) then an ibVPN connection can alleviate your problems. The MPAA (Motion Picture Association of America) would like nothing more than to track your every download How To Turn Your Raspberry Pi Into An Always-On Downloading Megalith How To Turn Your Raspberry Pi Into An Always-On Downloading Megalith Do your part for the global "Linux distribution network" by building a dedicated, secure, torrent-downloading megalith that barely uses 10W of power. It will, of course, be based on a Raspberry Pi. Read More to ensure none of their content is being illegally shared. 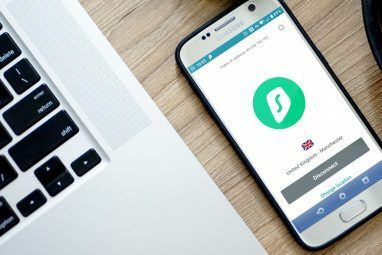 They do this by acting as a fellow P2P user, sharing the same files as you, or by snooping around your ISP, collecting data and information where possible to build a case against you. If you are torrenting, pretty much all other “security” measures are simply providing you a false sense of digital security. Services such as PeerGuardian, PeerBlock, and Bot Revolt block IP addresses from connecting to your network – though there are many who believe these services actively harm P2P file sharing by blocking the very peers you are trying to connect to. Others quite rightly point out that anti-file sharing IP addresses that are blocked will quickly be changed. The anti-file sharing lobby, whilst at times seen to behind the times are not entirely digitally incompetent, as some would have you believe. Secure your downloads, legal or not, with ibVPN, and keep yourself off those pesky monitoring lists! “We do not spy on our users and we don’t monitor their Internet usage. We do not keep logs with our users’ activity. However, in order to avoid abuses that may occur during the 6-hour trial we record and keep for 7 days the time, date and location VPN connection was made, connection duration and bandwidth used during the connection. So far we have not receive any DMCA notice or other European equivalent for any P2p server from our server list. For the rest of the servers, we have filtering systems that prevent P2P and file sharing activities in order to protect us and our users from DMCA notices. …and you love some free WiFi. Who doesn’t, right? I’ll tell you. It’s individuals like myself who value their privacy, especially when connecting to sensitive data. Why so? Well, the WiFi connection commonly found in your local coffee-house is likely to be unsecured i.e. you’re surfing an unencrypted data wave where anyone with an inkling of hacking savvy could cause you to wipe-out. Seriously though, these connections are vulnerable to attack from even the most base level hackers who have spent a tiny amount of time doing their research. Evil Twin, Tamper Data for Firefox, and Burp Proxy are all examples of basic applications that can cause serious damage with minimal knowledge. A malicious individual need only absorb the information from a few YouTube tutorials and your data could be theirs. Of course, connect to your personal ibVPN account and it is a different situation entirely: your data is encrypted, cloaked from any potential prying eyes, delivering you peace of mind. For a minimal outlay in our data driven society, it is a worthwhile investment that’ll keep giving, especially if you’re connecting to multiple public hotspots each day. Personally, I’d want to protect myself – wouldn’t you? …who engages in all of the above activities at some point. It wouldn’t surprise us if you were. Privacy is underrated. It is one thing to provide your data willingly in exchange for a “free” web service, but another thing entirely to have all your data scooped up in drag-net surveillance tactics exercised by some authorities. Parting with $6 per month to ensure your privacy seems like an outstanding situation. Entering the world of VPNs is a simple but beneficial process. VPN providers are usually friendly, and almost always on hand to help should a problem arise. If you are just getting started with VPNs, consider acquainting yourself with some useful terminologies, abbreviations, and common VPN features. Empower your VPN decision-making Linux VPS Hosting: How to Choose Your Virtual Private Network Host Linux VPS Hosting: How to Choose Your Virtual Private Network Host There are various factors that you need to consider when you're choosing a VPS provider. Instead of naming providers, here's a general guide that will help you choose the right VPS for you. Read More process! Point-to-Point Tunnelling Protocol. Exceptional device support, low overhead and good connection speeds. However, has low-level encryption, and connections have been known to suddenly drop, but with low frequency. PPTP uses a control channel over Transmission Control Protocol 10 Networking Terms You Probably Never Knew, And What They Mean 10 Networking Terms You Probably Never Knew, And What They Mean Here we'll explore 10 common networking terms, what they mean and where you are likely to encounter them. Read More (TCP) and a Generic Routing Encapsulation (GRE) tunnel to encapsulate Point-to-Point packets. The low-level encryption can be handy when using public WiFi connections, providing a base level of security without restricting an already potentially restricted connection. Secure Socket Tunnelling Protocol. Used for Microsoft, Linux, RouteOS and SEIL, but currently unavailable for Apple products. Very secure, integrated into many Microsoft products, and having been built using Secure Sockets Layer v3 (SSLv3) technology, can connect to TCP port 443, enabling the connection to bypass most restrictive firewalls. Layer 2 Tunnelling Protocol. L2TP doesn’t actually provide a base level of security, so it is often combined with IPSec to provide 256-bit encryption. It is the highest level of encryption available for a public-use VPN, is extremely easy to setup and supported on a massive range of devices. However, in the post-Snowdon revelation world, many experts speculate that L2TP/IPSec may have been compromised, or at least weakened by the efforts of the NSA/GCHQ. Custom security protocol for creating secure point-to-point or site-to-site connections. Utilises OpenSSL library, the SSLv3/TLSv1 protocols, and can connect to TCP port 443 to negate firewalls. It also supports hardware acceleration to boost connection speeds, whilst OpenVPN connections are considered very stable and reliable. OpenVPN is supported by a massive range of devices, though is native to none. It’s default encryption is set to the 128-bit Blowfish, but OpenVPN can be configured with a number of alternative algorithms. OpenVPN can be somewhat fiddly to initially setup, however, most VPN providers negate this by offering customized client software. It is easily the fastest, safest and most reliable VPN protocol. Your privacy is valuable, and you have every right to protect it. However, before you sign up to any VPN provider, an assessment of their security credentials is necessary. You could negate the security offered by a VPN by creating an account with a provider that doesn’t recognize or place the same value in your privacy as you do. Choose your VPN protocol based upon the connection you’ll be using, and the security you need. For instance, if you’re just browsing the headlines across the web in an coffee shop, you’re unlikely to need L2TP/IPSec 256-bit encryption. It’ll slow your connection, and it doesn’t correlate to your current Internet usage. Using OpenVPN’s range of cyphers can provide you with more than enough security, without slowing your connection – but you can always ramp it up if needs be. Another vital feature to consider is data logging. You’re making an effort to protect yourself. You’re concerned about data privacy. You’ve understood that protecting your data is essential, so you chose a VPN – but then it emerges that the VPN you selected actually logs all data transmissions throughout its network, somewhat negating the very essence of utilising a secure VPN. Not all VPN providers log your data, but you should check before committing to a provider. In a similar vein, data logging delivers more concern in some countries. VPN providers in the UK or US may not log your data, but if the NSA or GCHQ come knocking your VPN provider will almost certainly be required to hand over any available information. If they don’t keep logs, all for the better. But if they do, you better believe the authorities will take it into their custody. The final issue is price. Price relates closely to our last feature, too. There are free VPN providers out there, quite a few in fact. As with most things free, there is a trade-off somewhere down the line and it usually includes your privacy being traded for your free VPN account. A large proportion of free VPN providers will log your data over time, gradually building a picture of your usage habits in order to direct target advertising your way. ibVPN value your privacy as much as you. As with many paid accounts, an ibVPN connection will produce no adverts, there will be no data logging, and you’ll be free to browse the web as you want, when you want, where you want. Confidentiality. If your data is “sniffed” it should return encrypted data. ibVPN use multiple encryption methods: 128-bit AES, and 256-bit Blowfish. Integrity: Your personal messaging should be private and your VPN should detect any instances of tampering. Authenticity: Your VPN provider should prevent unauthorised access to your account from any external sources. Routing: A choice of servers should be available to you, with P2P servers located in secure countries. Bandwidth: The best VPN providers offer unlimited bandwidth. Continuity: A VPN is only as good as the network it’s built upon. Ensure the VPN provider you choose is established with a number of servers around the globe. Communication: Review your VPN provider’s customer service before parting with your cash. Scalability: If you own more than one device, you’ll need your VPN to be scalable to your needs, including cross-device support. Cover your laptop, phone, and tablet with the same provider. The proliferation of VPNs around the globe has seen some users install a VPN directly to their router. Using open-source software, a VPN can be installed to a router to provide coverage to each device connected to the network. This enables many devices that do not traditionally support a VPN connection to do so. Game consoles, Smart TVs, and Apple TV boxes can gain complete privacy using a VPN-enabled router. Not all routers can support the requisite DD-WRT firmware required to run a VPN. Your provider will be able to assist you, either by helping you install to your router or suggesting a router that supports the firmware and their VPN. It is worth the investment if you maintain a large personal network at home, instead of setting up each individual device one at a time, plus the coverage it offers to unsupported devices is vital in remaining secure. Much the same as wanting to secure the other Internet connected devices in your network, when you are out and about, you’ll want to protect your trusty smartphone too. The provision of a desktop and mobile client will enable your privacy through a single provider, delivering a consistent, scalable experience. We spend vast amounts of time on our devices. At times they contain more sensitive and private data than our actual computers – images, texts, banking details, shopping apps and more are worth securing, especially you frequent local WiFi hotspots. A Virtual Private Network is an excellent investment to ensure your digital security. We produce more data than ever and our society is increasingly digital. We also understand more about how our data is used, where it comes from, where it goes, and who looks at it. Companies like ibVPN also understand this, and they understand the concerns we have toward our data privacy. It isn’t enough to simply surf the web anymore, allowing your information to be stored at every opportunity for use at a later time. Our data isn’t confined to our laptops anymore, either. Our smartphones, tablets, Xbox’s, PlayStation’s, and even our TVs utilize data, and as such, become privy to our most sensitive information. They need securing, just as we secure our computers. Before signing up to a VPN provider, consult our checklist: there are plenty of great VPN providers, with a mix of features, for reasonable prices – but there also those masquerading. Read reviews, check articles, and cross-references prices and features. Use an excellent provider like ibVPN to maintain your privacy. Cloak your IP for anonymity. Secure your network for peace of mind. Explore more about: Longform Feature, VPN. Typically confused with VPNs, proxy servers additionally present a tunnelled connection to the Web. Nevertheless, they supply a totally totally different avenue of service. Proxy suppliers provide you with a method to circumvent particular restrictions and entry the Web by means of one other, worldwide, location. That is necessary when authorities restrictions forestall you from viewing particular web sites. What they don't do, nonetheless, is encrypt your shopping session, which might nonetheless depart you weak to cyber-attacks or spyware and adware.that need residential proxy. I don't think he is over selling the people who is paid advertiser. You don't have to pick them, he just created simple article for non vpn-wise users and sited examples. Regarding not using a vpn think about people who spout anti establishment rhetoric, and then are at risk of reprisal. Like being on the IRS audit list. I think as time goes on it will get worse. Not exactly apples to apples, but think about the idiots who use work WiFi to complain about their employer. I can think of two instances where suggesting about striking and complaining about a bonus that had bad consequences. This could happen at local, state and federal levels if you tick the wrong people off. "This post was made possible by ibVPN. The actual contents and opinions are the sole views of the author, who maintains editorial independence, even when a post is sponsored." LOL. Seriously. This article is one big commercial. I think so too. So I am here to say go ahead and try Astrill folks, it works better than ibvpn..
Q: OpenVPN - you stated: "It also supports hardware acceleration to boost connection speeds". Will my router's CPU etc be counted in this hardware acceleration and boost my connection speed? What if I'm a guest in a hotel which, after I connect to their wireless network, requires me to open my browser and provide my name and room number in order to have access to the internet? Are those wireless networks as open as a public open network / Is this additional step merely a way to ensure that the hotel is able to charge for the service? Yes, Lena, they are as you say: still completely open, but with a built in tracking/paywall. Check the yearly torrentfreak rating list of vpn's. The last one came out a couple months ago, I believe. Indeed, last list came out around December, I think, so we should be due an update soon(ish). Always worth a look though, TF take security pretty seriously. I use VyprVPN - any idea if this is as reliable as ibVPN? Sorry, Rob, I'm not entirely sure how they compare in the open market, but at first glance they seem relatively similar, only separated by price. They both have varying levels of support for dedicated IPs, shared IPs, and the total number of IPs covered by a single VPN. Worth investigating further! Not a bad idea, Anon. Haven't actually tried Tails. Cheers for the heads up. Though I have used all my foil. These now all-too-frequent paid advertisements are completely undermining the credibility of MUO. I'm sorry you feel like that. We believe there is an excellent balance between the hundreds of free technology articles we publish each week versus the relatively minute amount of paid advertising articles required to keep MUO up and running. Even if these are paid articles, we still deliver accurate information for the subject matter, that we are proud to feature on the front page of the site. pls can you name top vpn picks according to your expertise!!! May I piggy back a question re. the use of free (open) Wifi? We all know security isn't absolute (heck, even VPN's aren't 100% foolproof)... So, Is it reasonably safe to access sensitive (e.g. bank account) info if I am using my own device and the dedicated bank app -- over hotel, airport, coffee shop, etc. Wifi? No. You're still transmitting over open airways. Even though your app is probably (hopefully) using SSL, there's other vulnerabilities that leave you exposed. You'd be better off grabbing one of the free VPNs for limited use like banking etc...tunnelbear comes to mind. Noobdenial is right. I would hope your banking provider uses SSL (if not find one that takes your security seriously!). If you don't want to subscribe to a VPN use a free one when connecting to sensitive information. And on a more constructive note: What about being informed of "drop-outs" - which is when the VPN service fails in progress and you are dumped back onto the open web ... Do you think that that's an important criterion in the choice of VPN providers ? Does this "ib - VPN" provide notification when that happens ? Ehhh ? It doesn't. But on the other hand, not all all other VPN providers do either. I would always suggest installing something like VPNWatcher, or WatchDog, or something similar as this is a somewhat common problem for VPNs, especially those torrenting. These small pieces of software work alongside your VPN and will either detect your VPN drop-out and end your Internet session, or disable your adaptor to make sure no information is wrongly transmitted outside of the VPN. Wow - do you think that you used their name enough ?